Each class will be 7:30 pm - 9:30 pm. All actors must enroll by Sunday, February 3rd and start on Monday, February 4th. The dates listed above are the only 4 classes of this course. All four classes must be paid for upfront. If you miss a class, that will count as a forfeited class. All actors must be at least 14 years old to participate. IF YOU PURCHASE BY WEDNESDAY, JANUARY 30TH. PRICE WILL INCREASE TO $140.00 STARTING JANUARY 31ST. **Payment must be made to reserve / secure your spot. You will received a full refund if you cancel your enrollment by Thursday, January 31st. If you cancel your enrollment between Friday, February 1st and before the 2nd session on February 11th, you will receive a 50% refund. Starting February 12th, there are no refunds. There are no refunds for missed classes. 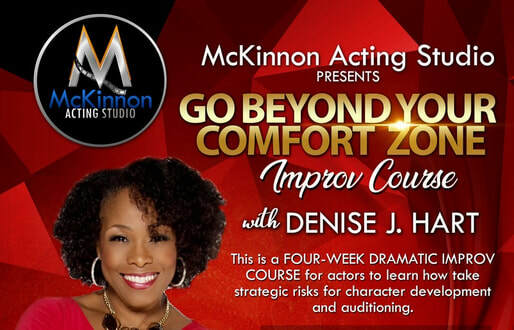 DENISE J. HART, An Associate Professor of theatre at Howard University, she has over 25 years experience coaching actors to excel to their next level of mastery. Many of her talented students are seen on stage and screen every day of the week, including Ryan Jamaal Swain in FX's hit new drama series POSE. In addition to her work as an award winning director, dramaturge and playwright, Hart is an accomplished actress in her own right. Her acting credits include the recurring role as the beloved character "Miss Anna" on HBO'S The Wire. She has also worked with African Continuum Theatre (The Old Settler), Wolly Mammoth Theatre (The Day Room), Arena Stage (Holiday Heart), Howard University (Before it Hits Home) and The Theatre Alliance (Le Dispute) in WDC as well as work on independent films and industrials. Hart is also a former scholar presenter and currently serves as a reoccurring scholar coach for the PBS Lone Star Emmy nominated television series Blackademics at the University of Texas at Austin. For theatre symposia and conferences, she’s been invited to present on topics ranging from the plays of August Wilson, the History of the Howard Players, The Courage of Creativity, Afro-Futurism in theatre, the Discourse of White Identity in Day of Absence, Contemporary Black Women Playwrights, Black Women Playwrights during the Renaissance and the plays of Lydia Diamond. Ms. Hart is a founding member of the August Wilson Society and the founder of The Performing Arts Training Studio, Inc. (PATStudio) and The Children's Theatre Workshop (TCTW) where she along with her staff taught hundreds of adults and youth the art and craft of theatre for over 20 years. 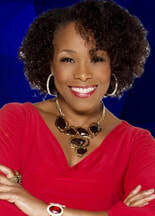 In addition to teaching at Howard University, she has taught at American University and Duke Ellington School of the Arts. A graduate of Howard University’s BFA Acting program, she also holds an MFA in Playwriting from Sarah Lawrence College and has studied comedy writing at Second City and comedy acting at Upright Citizens Brigade. Ms. Hart is a founding member of the August Wilson Society, a member of the Screen Actors Guild, The Dramatist Guild, Literary Managers and Dramaturges of the Americas, Black Theatre Network, Black Theatre Association, Association of Theatre in Higher Education, and serves as the Managing Editor for Continuum: The Journal of African Diaspora Drama, Theatre and Performance. In her spare time, Hart likes her fair share of solitude to feed her voracious reading habit and spending time laughing and chatting about how to make the world a better place. She also finds time to paint and explore the world around her. Her son Julian is her pride and joy.